The 2008 SAFF Suzuki Cup champions return to the country where they lost two finals. In 2003, the Maldives failed on penalties in the final against hosts Bangladesh while six years later it was India who emerged the victor on spot-kicks. The Red Snappers beat the Men in Blue in the 2008 final when it jointly hosted the tournament with Sri Lanka. The Maldives have always progressed past the group stage since making its debut in 1997, and the team will hope to add a second SAFF Suzuki Cup to its cabinet this month. In the AFC Asian Cup qualifiers, Maldives won both their matches against fellow SAFF member Bhutan – the second of those games culminating in a 7-0 win at home. Coached by Petar Segrt, the Maldives are placed in Group B along with India and Sri Lanka. They will play their first match against their island neighbour. The Maldives will be captained by veteran defender Akram Abdul Ghanee. Beyond Ghanee, the side will have plenty of experience to call upon in Bangladesh. Midfielders Mohamed Arif and Ali Fasir have represented their country for many years now while the defence will be manned by Ali Samooh and Hussain Shifau Yoosuf. The entire Maldives squad plies its trade in its own country. 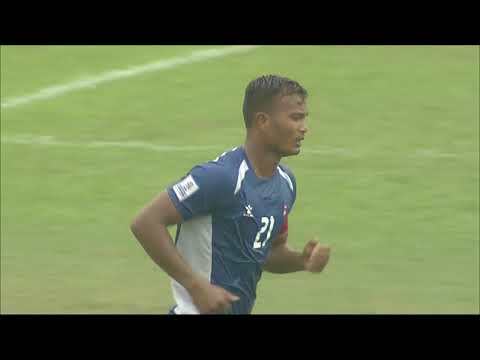 Nepal will take on the Maldives in the first semi-final of the SAFF Suzuki Cup 2018. Defending champions India will face Pakistan, who were absent from international football for three years, in the second semi-final of SAFF Suzuki Cup 2018.